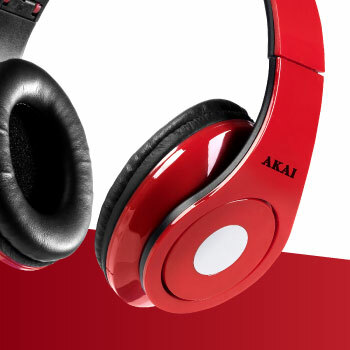 Akai was founded in Japan in 1937 and gained a strong reputation over the years for its audio and video recording products. 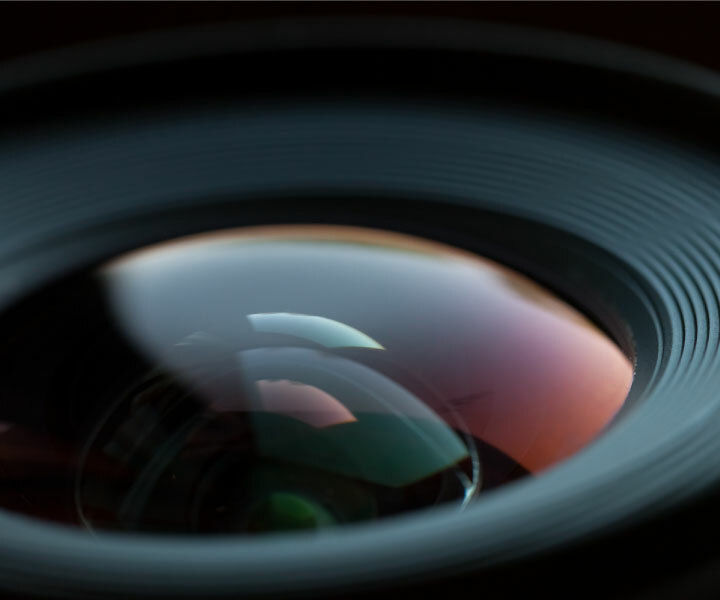 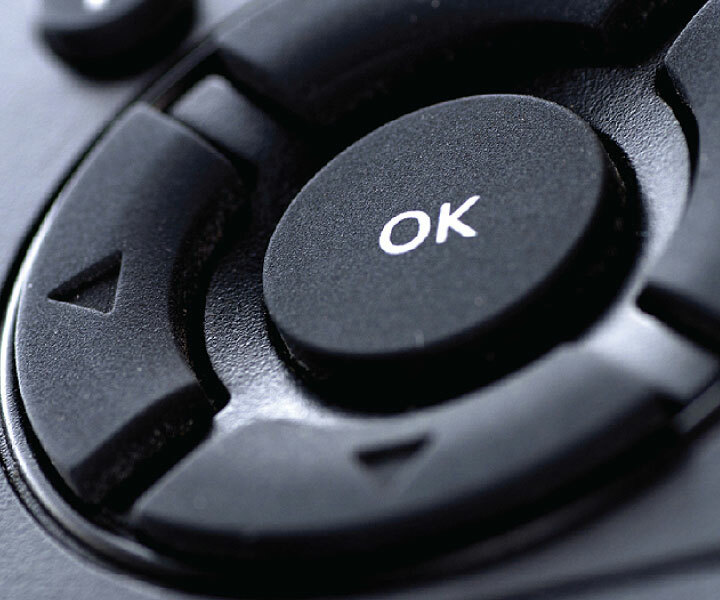 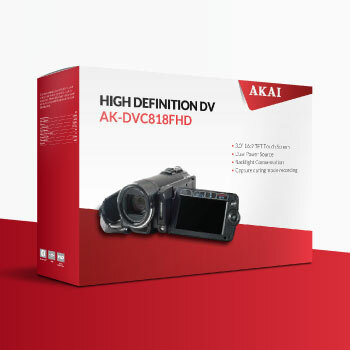 Following business changes in recent years, it is now a licensed mid-range brand applied to a varied array of affordable consumer electronics – both audiovisual equipment and home appliances. 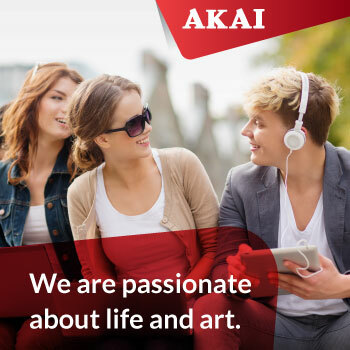 The brand’s owners wanted to refresh the brand to align its personality globally with these new market realities, help licensees to increase their sales as a result of enhanced brand equity, and give end consumers a clearer perception of the meaning and quality of the brand. 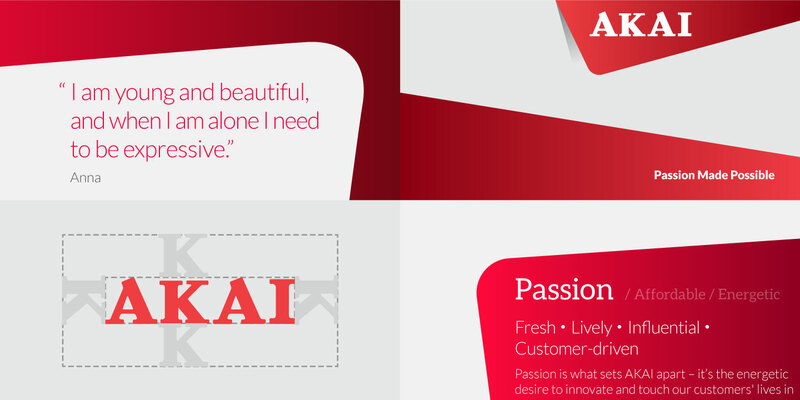 Seeking to rejuvenate and reposition the Akai brand in order to maximise its value, the licensor asked Base Creative to take a fresh look at the brand and conduct a full brand refreshment exercise, including strategy, positioning, visual identity and marketing communications. 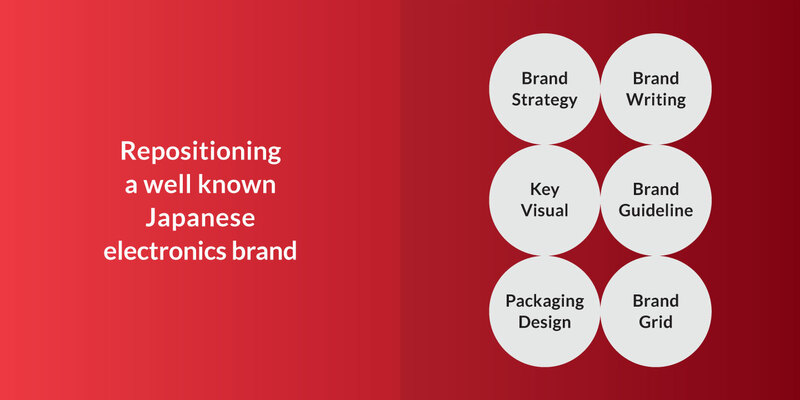 The primary challenge was to identify common characteristics across a diverse product range that would form a distinctive brand personality – one that would resonate with target consumers around the world. 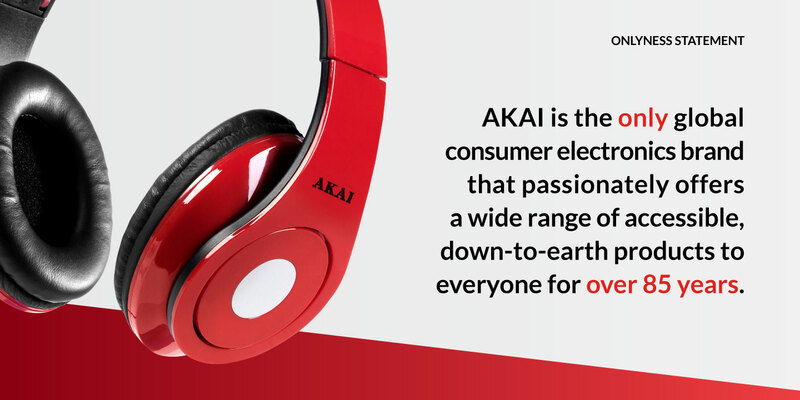 Base Creative’s market research found that the Akai name still had mass market appeal among older consumers. 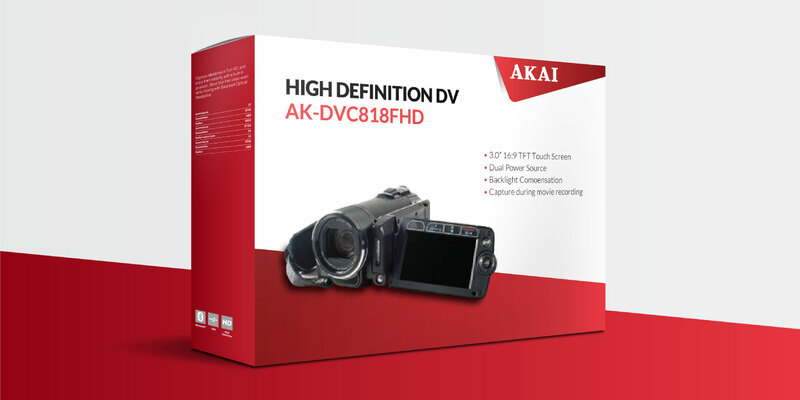 It was regarded as a reliable and practical brand which offered good value for money. 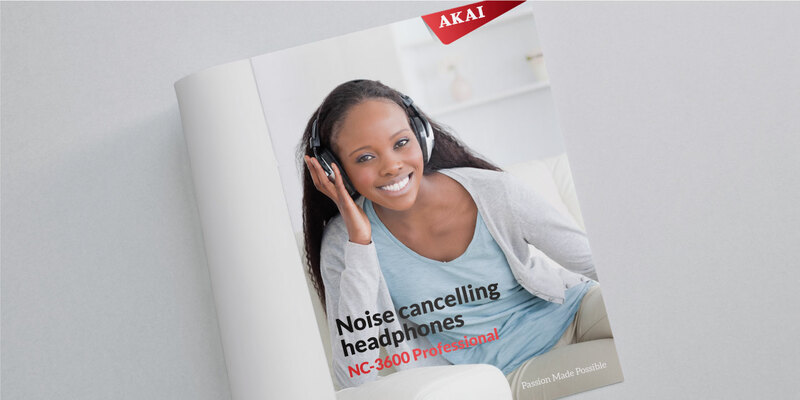 The brand owner sought a positioning for the brand which would sustain this positive reputation and present a consistent brand image across all markets, while meeting the needs of today’s consumers. 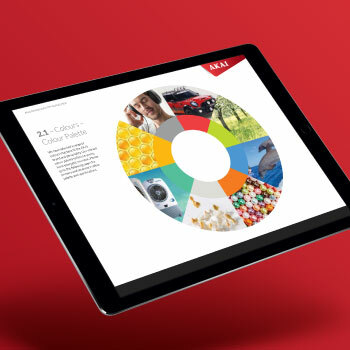 Guided by our market insights, Base Creative’s brand positioning work aimed at aligning these qualities with the brand’s current target segments. 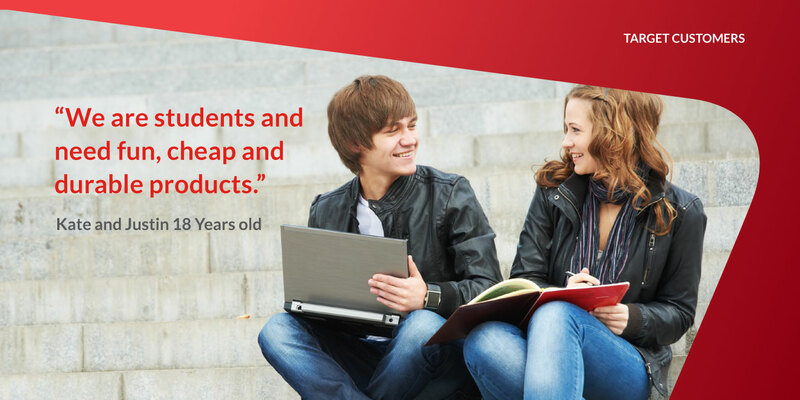 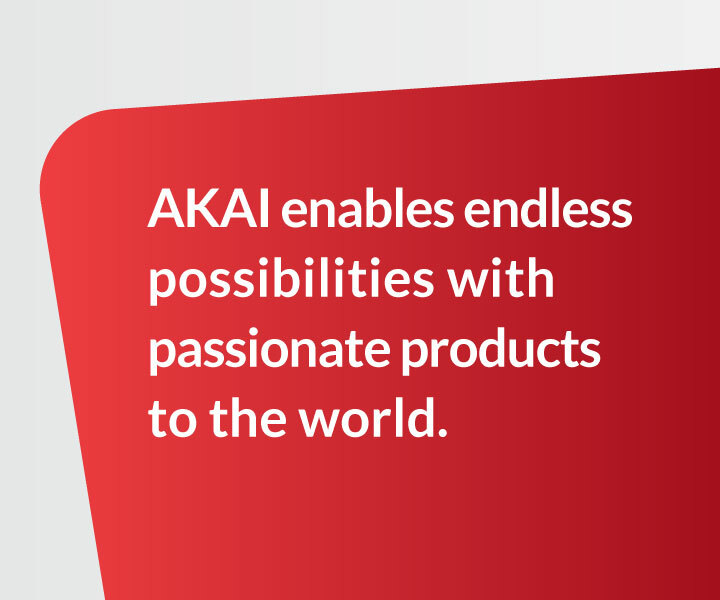 In addition to such characteristics as quality and usability, a key element of the brand was identified as passion – defined as the energetic desire to touch Akai’s customers’ lives in a beneficial way by offering them durable products with the best value-to-quality ratio. 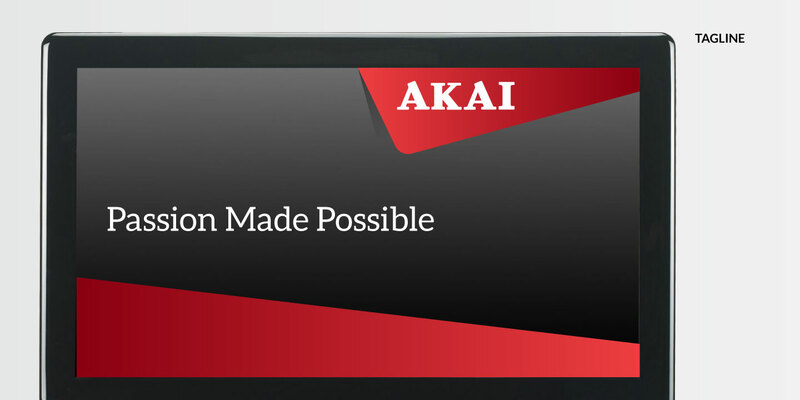 This characteristic was summed up in the tagline “Passion Made Possible”, which features extensively in the brand’s marketing communications. 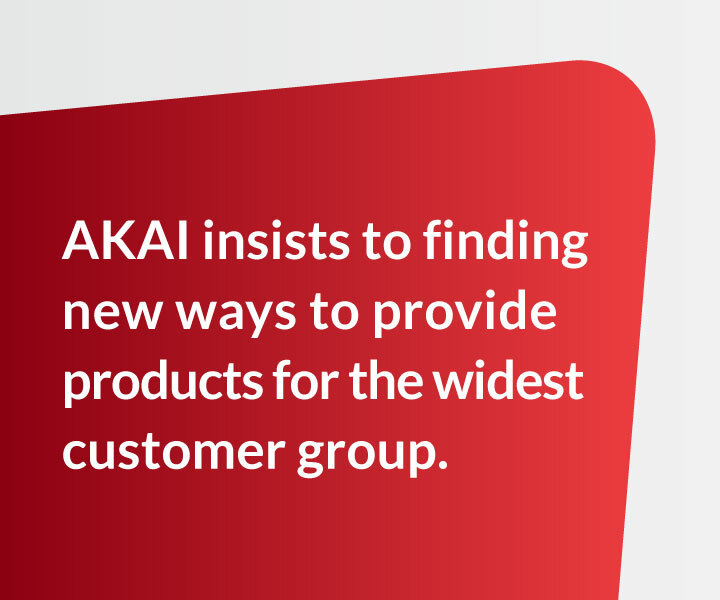 Akai meaning “red” in Japanese, the brand’s redesigned logo and other elements of its visual identity are naturally built on a vibrant colour palette in which that colour plays a dominant role. 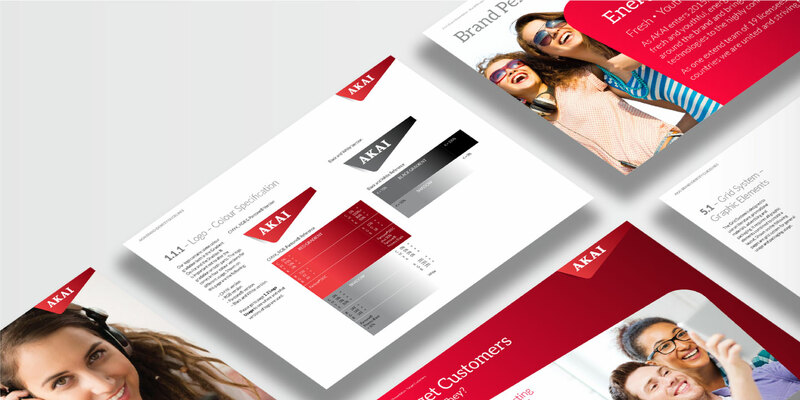 A new set of brand guidelines advises licensees on the correct application of the refreshed visual identity. 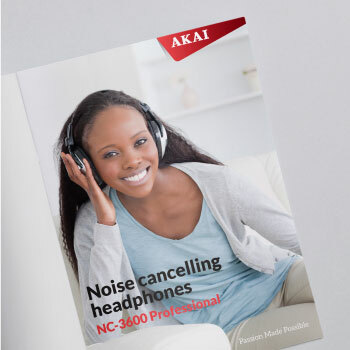 The same key design elements were applied in creating a sales brochure and advertising materials, for which Base Creative did the copywriting. 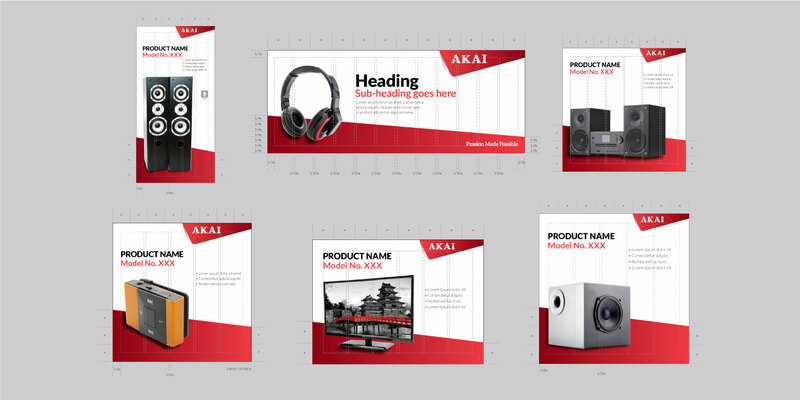 With the new positioning defined and visual identity updated, the refreshed brand was ready to be rolled out to licensees. 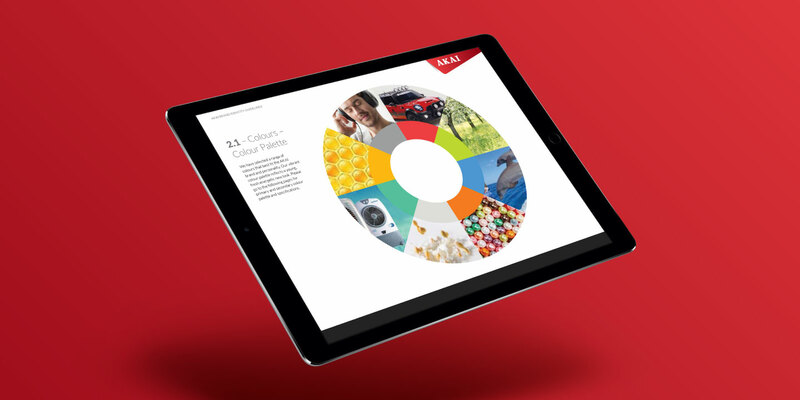 Using the guidelines in the brand book, licensees could further develop their own marketing collaterals and feature the products on their websites.